I no it needs work. as i said i dont want 2 flying types i was thinkin claydol/flygon but thats would be 3 grounds which is unstable. 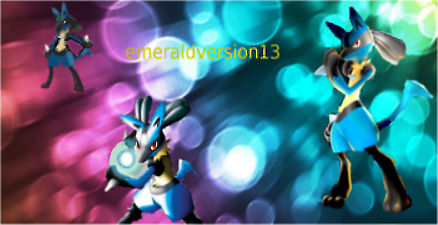 Please open to suggestions, has to be INGAME pokemon . .
this is my first time to this site sorry if i have posted in the worng place . .
Gardevoir makes an excellent special sweeper. In my experience, Aron and its evolutions are not a very good choice; they die easily to fighting type moves, even with their huge defense stat, and there seem to be a lot of fighting type moves used by the in-game trainers in Emerald. Your other team choices are okay, although I would remove either Beautifly or Swellow; not because they are both flying, but because they are both overall fairly weak pokemon. Flygon is a good pokemon to consider adding, it learns some very good moves and has good stats. The thing that I have always maintained when working with teams is to make sure that you are working towards countering your own weaknesses and utilizing your opponents'. That being said, you still have Flannery, Norman, Winona, Tate/Liza, and Juan to beat (not even counting Trainers along the way) before you can challenge the E4. So if you build just a team of 6 Pokemon to use throughout the whole game, make sure that their movesets compensate to the point where you have a plan for every major battle (heck, even minor ones because the Walkthroughs include Trainer data in most cases). Absolutely bomb in those games, and in the best way possible. Especially if you do a varied moveset, this will be a great choice, so keep it. 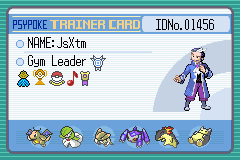 Great for double battles, although not too many of those happen in the game that are from the "higher-ups" (Tate/Liza the obvious exception, but it won't help against their Rock types). Aside from the fact that it has no weaknesses, Sableye can be a bit of a liability in battle (also availability might be an issue), but consider it. Yes, I'm leaving that one open, because it depends on what kind of player you are. Like Attack? Go Salamence, but Altaria is a great alternative and perhaps a little easier to get (not necessarily train). As JsXtm said, great Special Sweeper, especially if you still need one on your team. Another viable Psychic option might be to consider a Medicham. If you really don't want to keep Swampert, this is probably the best Water-type besides it introduced in this Gen. (Free to argue if you wish.) Again, varied moveset helps extremely here. Another great Special Sweeper if you don't like having Gardevoir. A lot harder to train, out of experience. Hope this gives you some ideas! Welcome to Psypoke. Keep the Aron! When you get it evolved twice its a super-powered steel type! Then look for an Absol. Its the only good dark type in-game. And dude when u get a beldum keep it and put the exp share on it and evolve it into a metagross and you have aforce to be reckoned with. Ready for battles. Pm me for friend code . No ubers without asking. . . . . . But theirs a catch when getting Beldum. You have to had beaten the Elite Four. Get rid of beautifly, and probably electrike. But the most important thing is, make sure all your pokemon can copensate for their weaknesses. Last edited by JsXtm on Tue May 22, 2012 5:58 pm, edited 1 time in total. Psypoke has its own pokedex. Your team is fine but you need to change some things.